Financial literacy is important for kids and young adults, however, as adults, we can all improve our financial stability by refreshing our financial knowledge. Read the fine print. If a deal sounds too good to be true, it usually is. For example, a loan with no interest or payment for one year usually comes with some catch, such as having to pay for the entire loan in that year, or you'll owe all the interest that's accrued in that time. Also, ignore the pressure from salespeople who want you to sign without reading. Take the time to read everything carefully first; if you don't understand something, don't rely on a salesperson to help you figure it out, do your own research. You probably want to own a home. Owning a home can be less stressful and more affordable than renting. Start saving for a down payment on a mortgage. Buying a house gives you the chance to build home equity, as well as cash in on tax advantages. But, be careful of buying more house than you need. Keep your housing expenses to less than one-third of your take home income; make your house work for you, not against you. Talk about money with your partner. If you are tying the knot or have been together for several years, it is important to get on the same page financially. There is nothing embarrassing about getting joint counseling for financial issues; knowing your partner's financial personality and coming to an agreement on your budget is one way to strengthen your relationship and bank account. Don't let small financial problems cause irreparable emotional or financial damage down the road. Pay your bills on time. If you pay your bills as they arrive, you won’t have to worry about forgetting them. Set up text and email alerts for your bank accounts and credit cards to help keep tabs on your spending and to avoid missing payment dates. Stick to a budget. It doesn’t have to be detailed. At the start of the month, estimate how much money you’ll receive and decide where it needs to go. When you go out, decide ahead of time how much you can afford to spend, leave the rest behind. It's easy to get caught up in the moment and spend more than you want to when having fun; and don't just go to the ATM for more than you budgeted, or you will frequently run out of money before the end of the month. Set limits. Don’t buy on impulse. If you're going to spend more than $50 on something, figure out if you really need it. Is the restaurant too expensive? Do you really need that new outfit now? A $50 dollar limit is a good point to stop and ask yourself if you can do without it. Track your spending. Use a notebook, Quicken, phone apps, or your bank's website budgeting tools to help keep your budget on track. Good records will prevent you from getting overdrawn at the bank or charging more than your credit limit. Protect yourself from fraud. Don’t give out your social security number or your credit card info except to known and trusted sources. Young adults are also more likely to fall victim to fraud and identity theft by people they know. Living in a dorm, or other shared living space where strangers might easily access your space, might heighten the need for caution. Never stop learning. Invest at least 3 percent of your income back into yourself. Invest in learning new skills, a new language, or take vocational or online courses. If you stop learning, you will soon fall behind; knowledge helps us do things in efficient ways, as well as motivate and stimulate us to continue working. These days, everybody works hard; it’s the level of skill that differentiates us. Read books regularly, take free classes and trainings offered at your local library, schools or non-profit agencies. First pay the highest interest rate bills first. There are many things to consider when deciding which of your debts should be paid off first. As a general rule, start with the highest interest rate, this is usually a credit card. Make efforts to pay off your credit card debt so that you simply owe what you've charged over the course of each month, and try to use credit sparingly. Pay principal first. If you pay more than what is immediately due on a loan, make sure it goes to the principal only; this will reduce the amount of interest that will build up going forward. If you write a check, write "pay to principal" in the subject line, and if paying online make sure you get to choose how the payment is allocated. Pay off student loans last. Federal student loans offer much more flexibility than other forms of debt, and they usually don’t carry high interest rates especially when consolidated. Also, you can usually deduct the interest you pay on student loans, as long as your income is less than the current IRS limits. 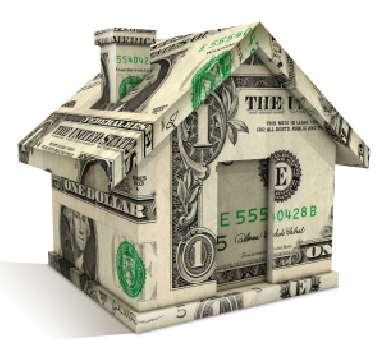 Developing a habit of saving will enable you to purchase a home, plan ahead and be prepared in case of an emergency. Keep an emergency fund. No matter how much you owe, or how low your salary may seem, it's wise to save any amount of money for an emergency fund every month. The easiest way to do this is to automatically divert a portion of your earnings into a savings account in addition to the amount you're contributing to a 401(k) plan or IRA. Try not to use that 401(k) money for emergencies. It will cost you plenty between income and penalty taxes. Don’t just hide away money under your mattress; put it in a high-interest savings account, a certificate of deposit or a money market account, otherwise inflation will eat away the value of your savings. Save for Retirement. Begin a retirement plan with your first job. Sign up for a 401(k) at your first opportunity; company-sponsored retirement plans are a great choice since you get to put in pretax dollars, and contribution limits tend to be high. If your employer offers no such plan, divert some of your paycheck into an IRA. Setting up automatic contributions to either one of these retirement options at a young age will help build wealth painlessly, because of the way compound interest works, the sooner you start saving, the less principal you'll have to invest to end up with the amount you need to retire. Investing really is important . Once you have your emergency fund and retirement savings settled you can start growing your investments. In the beginning, invest in mutual funds and stocks; take advantage of reduced pricing on your company's stock, but don't limit yourself to only your company, instead, diversify your investments to include stocks from large, midsize and small companies. After you have accumulated some wealth, it may be time to hire someone, you will have to pay for the service, so get referrals and check out qualifications and credentials of a prospective financial adviser or broker. In addition to an emergency fund, you should consider having insurance, a will and an emergency preparedness plan. Have insurance- be prepared for financial disaster. Insure your life, health, auto, and home as soon as possible. If you rent, get renter's insurance to protect the contents of your place from events like burglary or fire. Disability insurance protects your greatest asset, the ability to earn an income, by providing a steady income if you ever become unable to work for an extended period of time due to illness or injury. Yes, you need a will. You might feel like you have plenty of time left on this earth, but there is no guarantee. Create a will so that your loved ones and assets will be financially safe. Make certain to update your will occasionally or when a major life event happens. Document your possession. Make a list of your possessions and document them with photos or a video. Keep one copy of your inventory at h...ome in a lockable, fireproof file box; keep another in a safe deposit box or another secure location. Keep documents in one place. Put all important documents in a lockable, fireproof file box. Keep the file box in a secure, accessible location in your home so you can “grab it and go” if the need arises. Keep electronic copies at a different location. Choose an out-of-area contact. Ask an out-of-town friend or relative to be the point of contact for your family and make sure everyone in your family has the contact’s information. Update your emergency information regularly. Review the contents of your household inventory, your fireproof box, and the information for your out-of-town contact at least once a year.